DDR professional data recovery software recover your lost crucial files, folders, photos, images and other valuable data from Windows hard disk drive, USB drives, memory cards, removable media and other types of digital storage media. Software recovers deleted data from various data storage media devices on Mac machine. Mac file retrieval program get back your deleted files, digital photos, pictures, music files and other crucial data using advanced disk scanning technique. 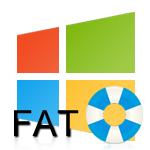 Software recovers deleted or missing files from FAT16 and FAT32 partition hard disk drives. 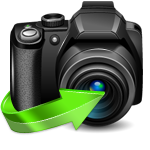 Recover deleted digital pictures, video albums and other media files from fully flashed digital cameras. Software retreives lost files and folders from corrupted USB removable mass storage devices. 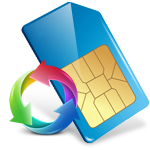 Recovers deleted text messages and contact numbers from mobile phone sim cards. Mac USB Drive Data Recovery software is designed to recover text documents, digital pictures, video songs, mp3 music, snapshots and multimedia files from virus corrupted or inaccessible USB drive storage media. Recover deleted data from pen drive, thumb drive, key drive, handy drive and other types of flash drive. Mac file restore program provides data preview facility to view your lost flash drive files before final recovery process. Software uses advanced inbuilt disk scanning technique to scan and recover lost flash drive data. 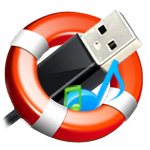 Program save your recovered flash drive files at specific location on your Mac OS X installed machine. Software restores deleted data from various partition loss cases like virus attack, hard drive corruption, Accidental Deletion and other operation errors.